Imagine you're a 16-year-old High School Junior and you are thinking about where you want to go to college. You're also thinking about whether or not you want to march in college because your high school band was pretty small and rather unimpressive. 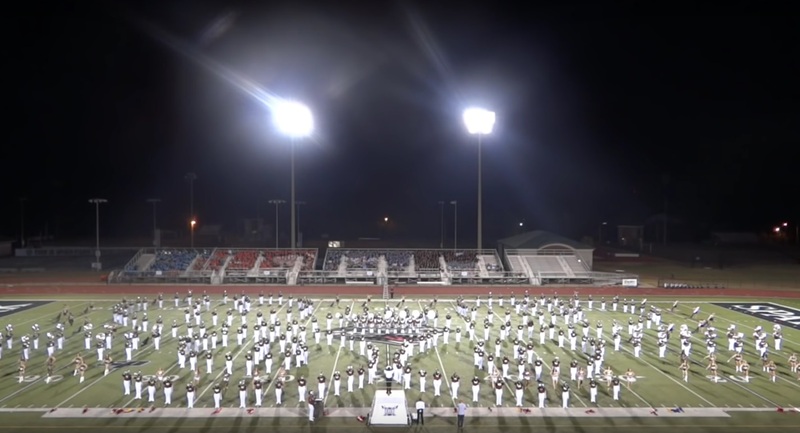 That's the Sound of the South from Troy University celebrating their 50th anniversary this past season with a halftime show that is absolutely OUT. OF. CONTROL. Any high school marcher in attendance at this band festival just decided that they were definitely marching in college. The opening is their Trojan Fanfare followed by 12 minutes of pure, organic, all-natural and locally grown POWER! It is a show like this that inspires high school students to join the ranks of college bands. With recruiting season in high gear these performances are sure to turn heads and help attract students to think about band programs they may never have thought of before. What was the show/band that inspired you to march in college?